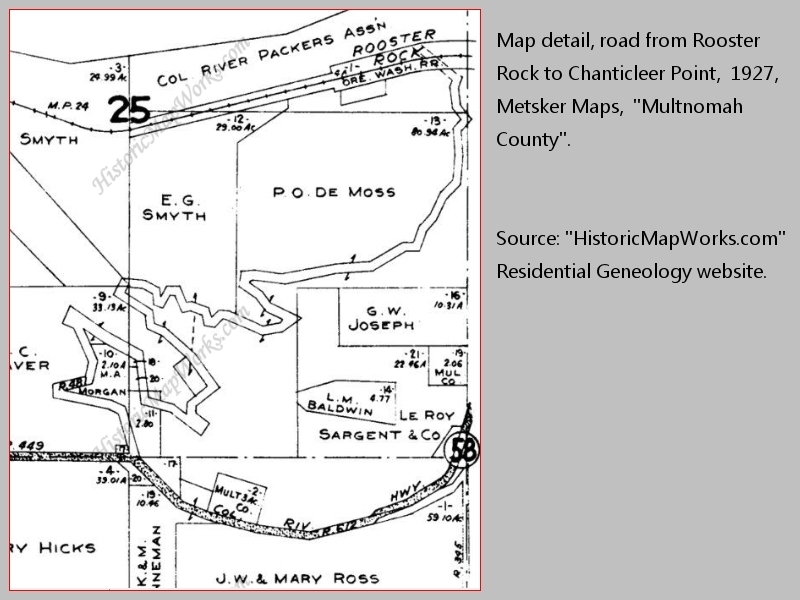 "Rooster Rock to Chanticleer Road"
"Early train travelers could take a shuttle and brave a winding road from the base of the cliff to the inn. 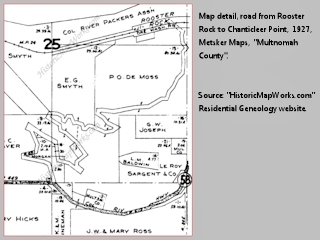 Portions of that road still exist. 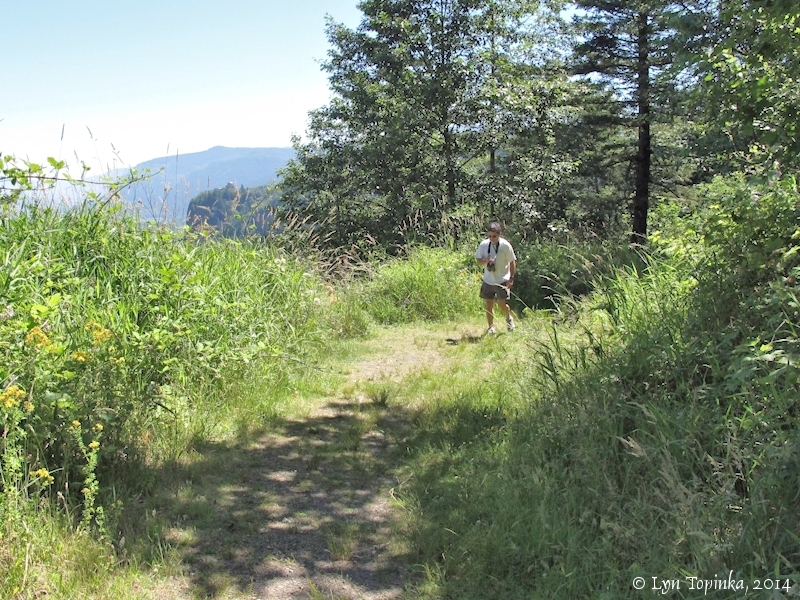 The upper end of it can be accessed only by hikers from the western side of the parking lot. Several vistas are available for those taking the time to walk the existing portion of the road which is passable for eight tenths of a mile from the park." 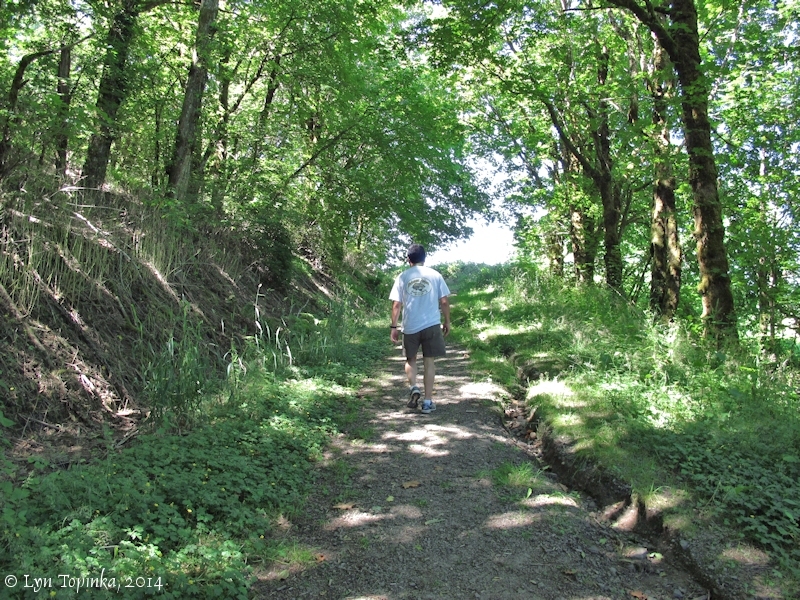 Source: Portland Women's Forum State Park website, 2014. 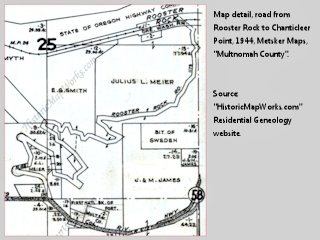 Click image to enlarge Map detail, Rooster Rock to Chanticleer Point road, Multnomah County, 1927, Metsker Maps. 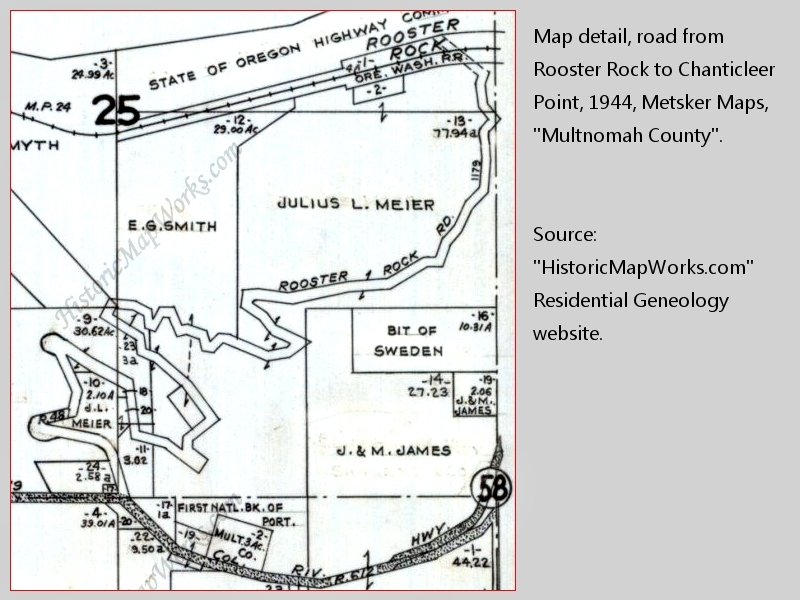 Click image to enlarge Map detail, Rooster Rock to Chanticleer Point road, Multnomah County, 1944, Metsker Maps. Many parts of the old road can be hiked today. 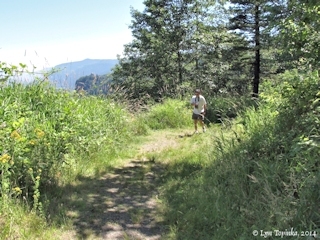 The upper trailhead begins at the northwest end of the Portland Women's Forum Viewpoint, behind the closed gate. 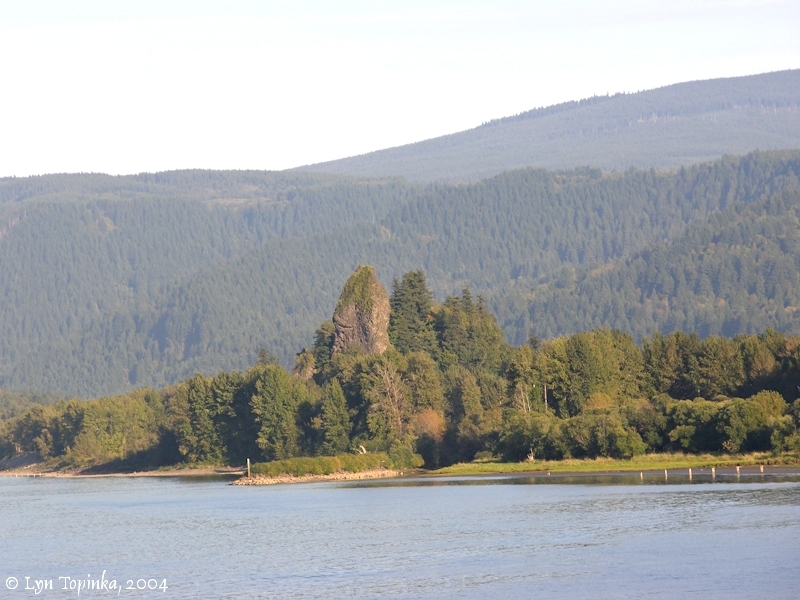 It proceeds downslope to Rooster Rock. 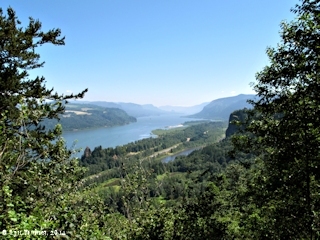 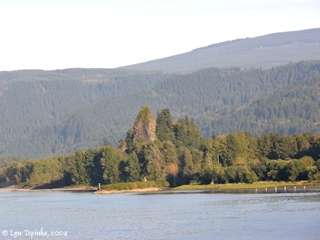 As of April 2014, Oregon State Parks is considering reviving the old road, repairing destroyed or missing sections, and turning it into an "historical" hiking trail.